Hi! My name is Nikki, and I am an ambassador for the 2019 relay team. I have known about MS Run the US since it was first started by a high school friend of mine, Ashley, whose Mom had MS. I ran cross country with Ashley throughout high school and I continued to compete in college. Running was a very big part of my life for over 15 years. 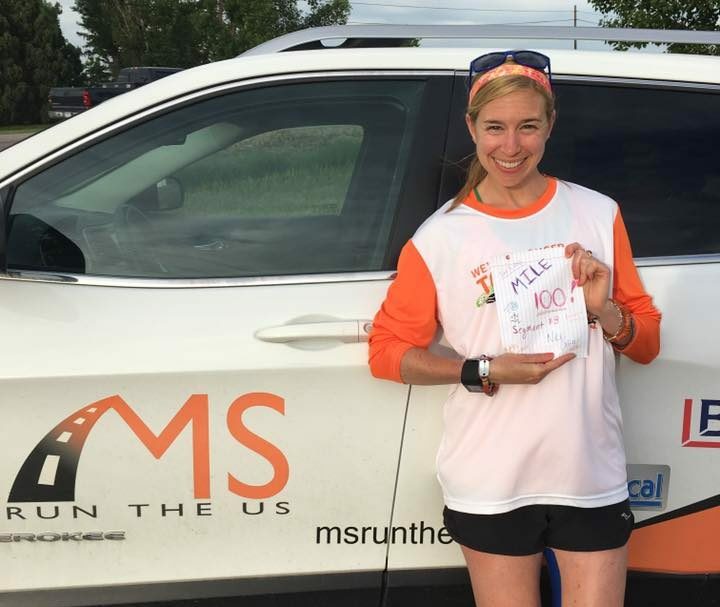 I was a MS Run the US relay runner in 2015 and 2016 and it was one of the best experiences of my life. I loved the idea of being able to use my love of running to do good for others. The two years that I got to focus my energy on fundraising through running were two of the most meaningful years ever. Unfortunately, I cannot put in that kind of mileage anymore, my body told me I have to stop for now due to recurring injuries. But I still want to help this amazing cause, so I became an ambassador this year. The money you donate goes towards helping specific people with MS, as well as money to help fund a cure for this horrible disease. Thank you for your support!